Hi everyone, I hope your week has started off well. I made some smiley face biscuits today… It was such fun. And they delicious 😊😊Enjoy! 3 – 4 tbsp raspberry jam, strained to remove the seeds. I used smooth cherry jam. Beat butter until pale for 1 min, add vanilla essence and icing sugar, beat for 2 mins until light & fluffy. Place filling in a piping bag and pipe the filling around the edges of half of the full cookies, place a small blob of jam in the middle, then sandwich together with the cut-out tops. To make the biscuits, cream the butter and icing sugar until light and fluffy. Add golden syrup, egg, milk powder and vanilla and beat until smooth. Add the rest of the dry ingredients until a dough forms. Wrap dough in cling wrap and refrigerate for 30 mins. Roll out on a floured surface to 5mm-thickness, use a 5cm-round smiley face cookie cutter to cut out shapes. Cut out eyes and mouths from half the rounds and a plain round cookie bottom with a 5cm-cutter. Place on prepared baking tray. Bake for 9 -13 minutes or until slightly golden. Allow to cool completely. Sandwich together a bottom with a cut-out top. Jolly for sure I am, as I am going on vacation, but do not worry, I will still be blogging as I am unable to leave my ‘baby’ and not tend to her daily. Thanks my friend – my blogging baby with go with me. I have to make these. 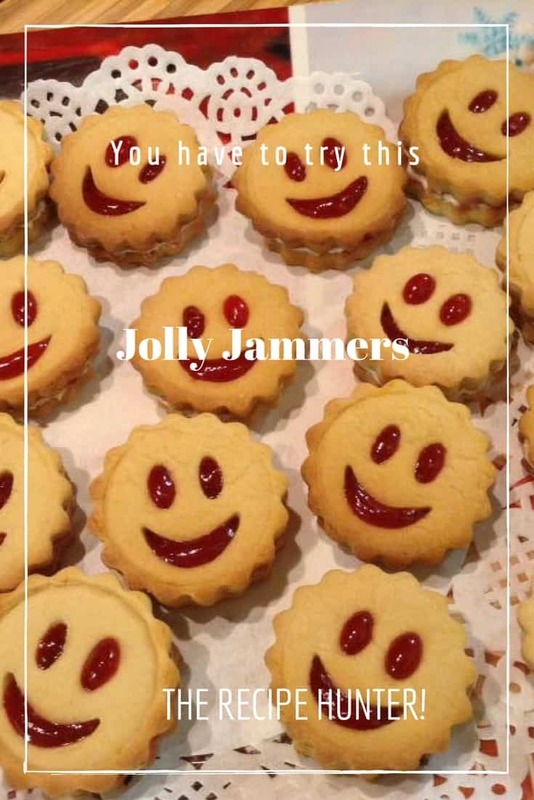 When I was a child we had biscuites called ‘Jammie Dodgers’ that looked just like these except tragically with no smiley face, just a circle of jam. You will understand therefore that I need, not want to make these. My 6-year old self calls me! Awesome – Please email me your comments and a pic then I will add it to this post as an addendum. Thank will be so fantastic.